5 minutes from Surgeres, with TGV (Paris 2.5 hours), cinema, covered market, supermarkets, . . . 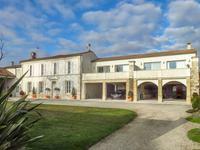 Situated 10 minutes from Surgères, half an hour from la Rochelle and the coast, and 20 . . . 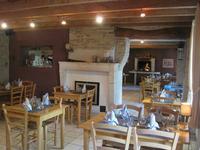 Situated in the Charente-Maritime countryside, close to the local town of Surgères and half . . .
Beautiful house offering 110 m² of habitable space with 50 m² of courtyard , situated in . . . This amazing house dating from the early part of the 19th century, offers around 386 m2 of . . . This stunning property is located in a village called Marsais. The closest town is Surgères, . . .
Down a quiet lane, on the edge of the village, you will find this wonderful house with . . . This house is ready to move in without any work. It has a garage and a nice closed garden . . . These two houses in the center of Surgères are a good possibility to rent out (one or the two . . .
Light well functional apartment with balcony at 5 minutes walk from the center of Surgères . . .
You could make your living here and live in the same house. Near the TGV station of Surgères . . .